A personal testament of events witnessed over the years of major ideological trends in mental health. Reflections on the Challenges of Psychiatry in the UK and Beyond is a personal journey through British psychiatry, the NHS and academic life for over 40 years. 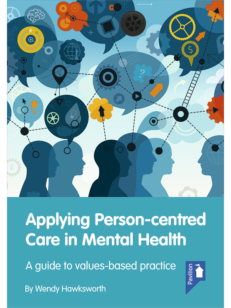 It describes personal experience as perceived by a postgraduate student, practicing clinician, teacher, trainer, researcher and health service manager. This book presents a personal historical chronicle and a panoramic view of some of the most significant milestones of modern psychiatry. The process of developing mental health services including those for people with intellectual disabilities through a maze of policies, sometimes contradictory, but also with strong ideological, sociological and political encounters proved to be a foremost challenge. The author examines the complex connections of these processes and he succeeds in giving a comprehensive picture of the mental health map in over four decades. 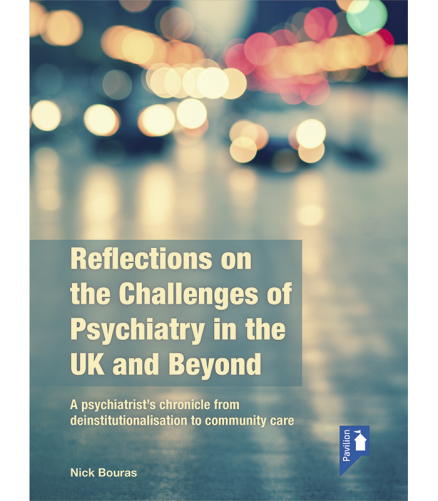 Successes and disappointments are featured throughout Reflections and Challenges of Psychiatry in the UK and Beyond through memories, archives and personal statements. Reflections on the Challenges of Psychiatry in the UK and Beyond will be of interest to all mental health professionals, health practitioners, policy makers, commissioners and managers, as well as to lay people. 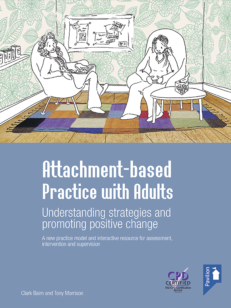 This book can be used in courses for psychiatrists, psychologists, social workers, nurses, therapists, health and social policy. Nick Bouras MD, PhD, FRCPsych, is Professor Emeritus of Psychiatry at the Institute of Psychiatry, King’s College London and Honorary Consultant Psychiatrist at South London and the Maudsley Foundation NHS Trust. He is currently Programme Director of Maudsley International. Professor Bouras led the research programme of the first Community Mental Health Centre in UK and carried out extensive studies of service monitoring evaluation. He was Consultant Psychiatrist at Guy’s Hospital of South London and the Maudsley Foundation NHS Trust for over 25 years and was instrumental in the re-provision of services from three large psychiatric institutions. Professor Bouras participated actively in the development of community based multi-professional mental health services that have been supporting numerous residential facilities in local communities for people with intellectual disabilities and complex mental health needs, people with chronic schizophrenia, and other neurodevelopmental disorders. Professor Bouras initiated the development of the Estia (Evaluation, Services, Training, Intervention, Assessment) Centre, (www.estiacentre.org) and remained Director until his retirement. This was and remains an innovative concept combining clinical services, training and Research & Development, jointly funded by the NHS and University. His research has been focused on health service related topics including assessment and clinical effectiveness of specialist mental health services; evaluation of multi-professional training methods; and social and biological determinants of behaviour in psychiatric patients. Professor Bouras has been a member and held executive positions in several National and International organisations. He has been Editor and member of the Editorial Board of several journals. He has published extensively in community psychiatry and mental health aspects of people with intellectual disabilities. Several of his books have been translated into different languages.